Check out Thomas Friedman’s column in the New York Times yesterday (February 10, 2011), written hours before Hosni Mubarak stepped down from the position he has held on to for 30 years. 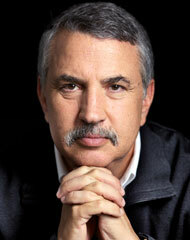 friedman is a smart man…should be our next secretary of state! and a minnesota boy to boot!